Cookie Cocktails and Sip, Save & Stay Holiday Package are part of the Christmassy Carlsbad fun. Seeking out something seasonal and swanky, in terms of a stay-over? 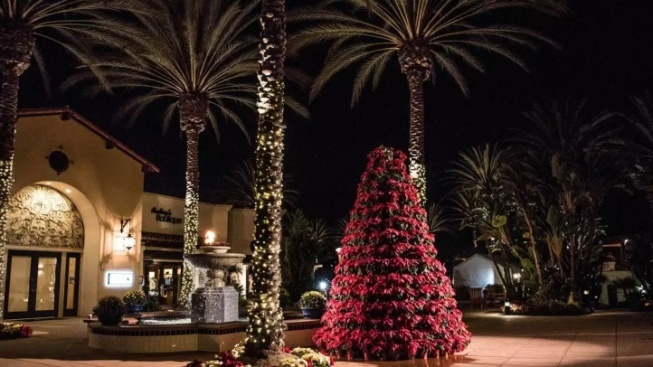 The Carlsbad resort is all a-twinkle with yuletide charms. SIP, STAY & SAVE HOLIDAY PACKAGE... is available through Dec. 30, 2018, and includes 10% off your stay, as well as the much-desired, oh-so-longed-for late checkout (a perk that's especially welcome during the rush-rush hubbub of the holidays). And will you be treated to two signature sips? You shall, so tell your sweetheart or best buddy to prepare to sip a Moscow Mule or Champagne Cobbler, as part of the package. Is this where you'd like to after-Christmas, like some people "summer" instead of "vacation"? Is that even a thing? If we have to ask if it is a thing, does that mean it probably is? OTHER DELICIOUS DETAILS... at the Omni La Costa include Cookie Cocktails, available at Diversions through New Year's Eve, a Movie Night Pajama Party, and a few other fa, la, lovely things to-do around the expansive property. Need more, Noël aficionados? Contact the resort for all of the ornament-decked details.